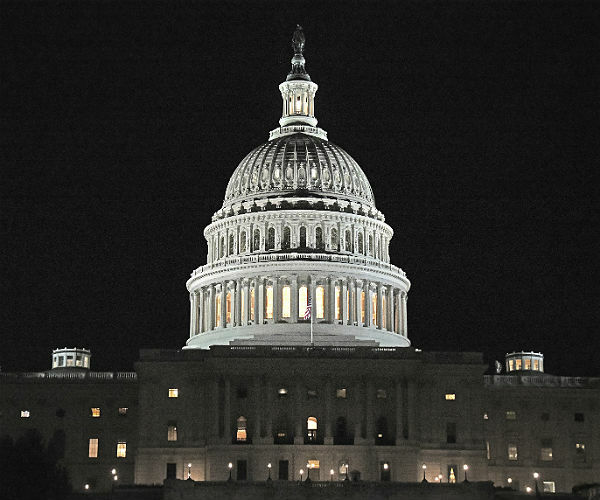 The short-term solution reached last month to extend the US federal government's funding expires on Thursday, February 8. Leaders from both parties say they want to avoid another partial closure. Last month, parts of the federal government were closed for three days, which is about par for the course (around half of the government's 19 shutdowns since 1977 lasted three days). The House of Representatives is planning to vote tomorrow on a continuing resolution to extended current spending plans through March 22. It is not clear at this juncture that it has the vote to pass the motion. The consensus among Republicans may be fraying. Some of the fiscal hawks and the conservative Freedom Caucus are balking at what would be the fifth short-term extension since the fiscal year began on 1 October 2017. The Democrats are not inclined to support the measure. They are trying to secure leverage to resolve the Deferred Action for Childhood Arrivals (DACA) issue. President Trump has threatened to end it on March 5. The argument is that if the Democrats were to vote for the House bill they would weaken their negotiating position. A federal court has blocked the effort to rescind DACA. This makes the March 5 deadline somewhat less significant. Ultimately, the Supreme Court will likely hear the arguments, but likely not before March 5. Turning to the Senate, the Republican leadership is not committed to the House bill. With 60 votes necessary to pass the measure, the Senate Democrats have greater leverage than in the House. The Democrats are insisting on immigration reform as a condition to supporting another continuing resolution and appeared to have been outmaneuvered last month. The White House has four demands on immigration reform: 1) a pathway to citizenship for 1.8 mln undocumented immigrants, 2) $25 bln for border security and a wall for more of the border with Mexico, 3) an end to the lottery system, and 4) and end to chain migration. Senate Democrats are balking at the bipartisan bill in the House (co-sponsored by 27 Democrats and 27 Republicans). The issue, like last month, may not be so much about principle as it is positioning for November mid-term elections. A short government shutdown makes for poor optics, but the economic impact is minor and investors have come to accept this. A longer shutdown impacts GDP primarily through reduced work hours. It is disruptive to tourism, which is accounted for as a service export. A government shutdown does not sit well with the rating agencies. The debt ceiling has also not been resolved. Treasury Secretary Mnuchin has indicated that the current workaround will be exhausted late March. The Congressional Budget Office said late last month drop-dead date may be a bit early as the new tax changes reduce government revenues. 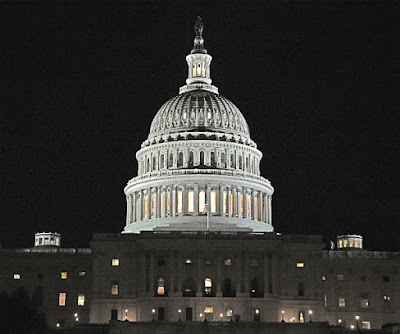 The failure to renew spending authorization leads to government shutdowns, but the failure to lift the debt ceiling would produce a default or the inability of the US to service its debt. The House bill to pass a continuing resolution bill to extend the current spending authorization until March 22 would be sufficient to keep the government open through the March 21 FOMC meeting. It would be possible but awkward for the Federal Reserve to raise interest rates when the government was shut. The recent string of data has fanned expectations of strong quarterly growth. The Atlanta Fed's GDPNow tracker is pointing to 5.4% annualized growth in Q1, while the NY Fed's model suggests a still robust 3.2% pace. The average effective Fed funds rate has been 142 bp since the Fed hiked rates in December. There are typically exceptions at month- and quarter-end. The April Fed funds futures contract is not subject to the quarter-end distortions that of the March contract. The timing of the March meeting also makes April contract a cleaner read. The futures contracts settle at the average effective rate for a given month. A 25 bp rate hike would lift the average effective rate to 1.67% (from 1.42%). Currently, the April contract implies a 1.64%. This means that the hike is 88% discount, to say the same thing, the collective wisdom of the market assesses an 88% probability to a March hike.